At Zappitell Law Firm, we pride ourselves on our ability to provide our clients with the personal attention found at a boutique law firm but the proven experience and vast legal resources only available at large firms. 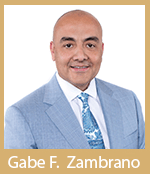 Led by founder David J. Zappitell, our team of attorneys, of counsel members, paralegals and legal assistants are deeply committed to helping you achieve legal results that make a positive difference in your life, whether you are pursuing compensation after an injury or you are involved in a complex business dispute. While the goal of every attorney is to obtain successful results for his or her client, not all lawyers take the time to genuinely get to know the individuals and families they are representing. At Zappitell Law Firm, we care about our clients. Gaining a true understanding of how our clients’ lives are affected by their legal problems helps our team provide thorough advice and powerful representation specifically tailored to our clients’ needs. When you consult with us, AV-rated* attorney David J. Zappitell will meet with you during a friendly and confidential consultation at our firm or at your hospital room or home — for your convenience. He will learn about your circumstances, explain your legal options to you and address all of your concerns. We are determined to do everything in our power to help your resolve your case. Our injured clients can count on our team to vigorously pursue all avenues of recovery. 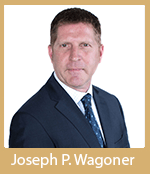 Our business clients can expect experienced, high-quality legal representation from a board-certified lawyer. Depending on the needs of your case, our firm can connect with some of the top medical, biomechanical and business experts around the country. If you are seeking an attorney who will take care of you, or you are unhappy with your current legal representation, come to Zappitell Law Firm. 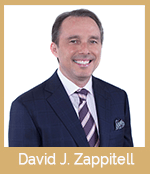 Where To Find Our Firm | Zappitell Law Firm is located in downtown Delray Beach. Our office is in the Pineapple Grove Arts District on NE Second Avenue, just off of Atlantic Boulevard. For more information or directions to our firm, please view our map or call our firm at (561) 330-6330. We invite you to contact Zappitell Law Firm toll free at (561) 330-6330 to schedule a free consultation to discuss your injuries or business matters. We are available to help you 24/7. Evening and weekend appointments are available upon request. Spanish language services are available.